Inside Rupert’s Pad. What Will $38m Get You? Rupert Murdoch, News Corp's executive chairman, is parting ways with his New York townhouse following his recent wedding in London to former model Jerry Hall for $US28.9 million ($A38m). Described as a circa 1850s Greek Revival-style townhouse, it covers four levels in New York City’s West Village with views north of the Empire State building and One World Trade Centre to the south. The third level is an entire full floor master bedroom suite. 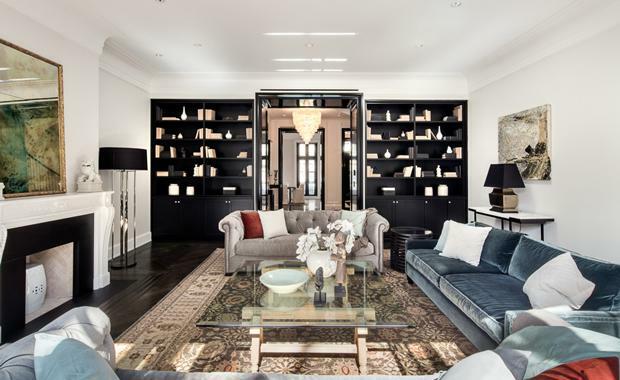 “It is an amazing home in the most coveted location in New York City, and after Mr Murdoch’s upgrades, is ready to move into in mint condition,” according to listing agent Dolly Lenz. Covering 6,500 square feet it has 4 bedrooms, 4 full bathrooms and 3 half bathrooms. The master marble bath spans the entire width of the house. There’s also plenty of room for your wine collection with a 1,200-bottle climate controlled walk-in wine cellar. Rupert Murdoch’s fortune is estimated at US$12 billion according to Forbes, which has made him a regular trophy property player. Murdoch built his media empire out of Adelaide with the now defunct newspaper The News which he inherited from his father. Today, the Murdoch family controls 120 newspapers in five countries as well as a suite of other media assets including television networks. The multi-billionaire acquired the property in March 2015 for US$25 million. Murdoch also listed his amazing New York penthouse in 2015 for $US72 million which overlooks Madison Square Park.